Larry H. Miller Megaplex Theatres at Geneva | Winder and Counsel, P.C. SOLD! Larry H. Miller Megaplex Theatres at Geneva. 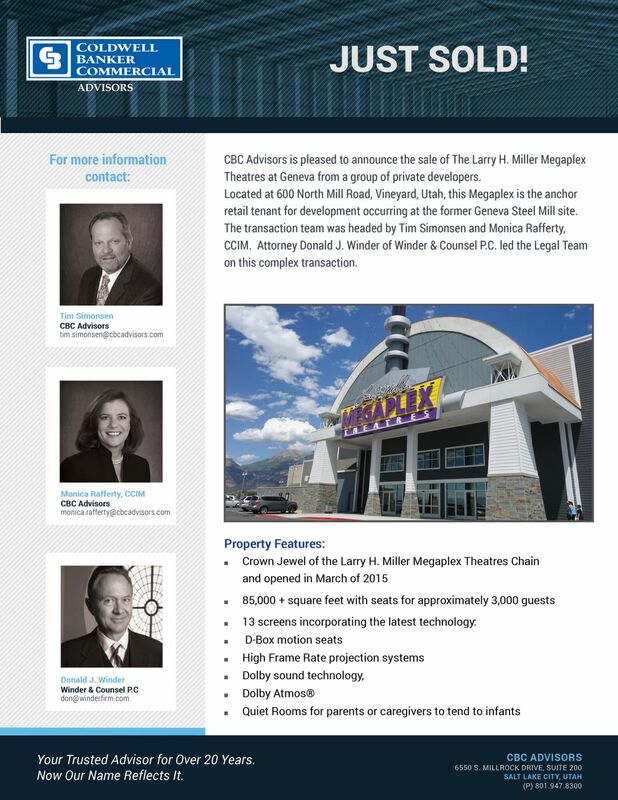 CBC Advisors is pleased to announce the sale of The Larry H. Miller Megaplex Theatres at Geneva from a group of private developers. Attorney Donald J. Winder of Winder & Counsel P.C. led the Legal Team on this complex transaction.